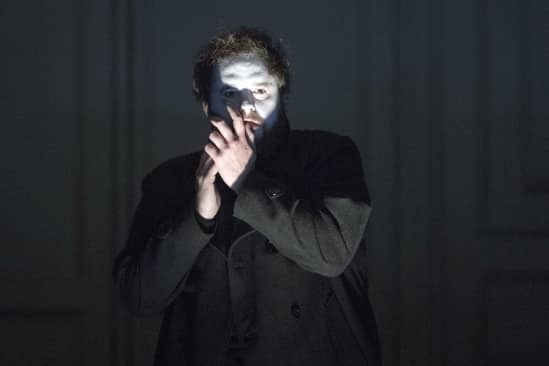 How does an opera create a sense of drama? Watch this short animation. As you can see, Hamlet is a plot that deals with high passions and violent actions. Early in the story, Hamlet is visited by the ghost of his murdered father - Old Hamlet. Before the ghost even speaks, he simply stands and gestures Hamlet towards him. In groups or on your own, imagine what musical decisions you might make at a moment like this in an opera. What tempo and dynamic markings would you use? Would you vary them at all? How, and why? Would you use any particular rhythmic ideas? What instruments might you use, and why? How would you imagine you could create a particular musical ‘atmosphere’? Listen to Brett Dean’s (composer) version of the ghost’s arrival. What instruments and/or voices can you hear in particular? Pick three specific aspects of the music that immediately strike you, explain what they are, and precisely what effect they achieve. Are there any variations in dynamics, tempo or rhythm that you can hear? Do they correspond to any particular moment in the libretto? Probably the most famous part of Hamlet is the soliloquy (monologue) beginning ‘To be, or not to be’. Here is the text to that part of the play. Thinking either about the whole of this speech, or concentrating on a particular part of it, imagine what sort of instrumentation you might use as a singer when singing these lines. Be as creative as you can - Brett Dean uses a percussion section in this opera that includes pots and pans, for example. However, you must be able to justify any choices you make - try and think about enhancing the text! Listen to the soliloquy in the opera on the video. What immediately strikes you about what you can hear? Think of three different adjectives or adjectival phrases to describe the atmosphere created by Brett Dean’s musical choices. What does the musical writing tell us about this particular character at this particular point in the plot? How does Brett Dean use music to help our understanding of the characters in Hamlet? The first character we meet in this opera is Hamlet himself. It is not easy to put your finger on the character of Hamlet - he is one of the most enigmatic characters in all literature. However, what is certain is that he is a man on the brink. He is crippled by grief, self-doubt and a belief that he should be doing something, even though he is terrified of what it is that he might have to do. 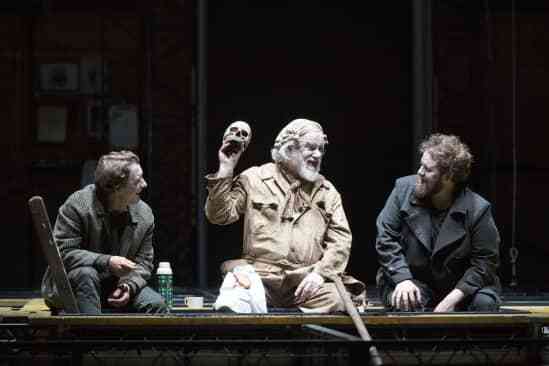 Listen to perhaps the most famous of Hamlet’s speeches as it occurs in the opera. If you had to reconstruct the score by listening to this soundscape, what would it look like? What can you pick out? Instrumentation? Tempo markings? Time signature? If it’s hard to pick out - why is it hard? Are there particular moments in the texture that stick out? What might these moments signify? What does all of this tell us about the character of Hamlet? In the second scene of the opera, the stage fills for the wedding celebration of Claudius and Gertrude. 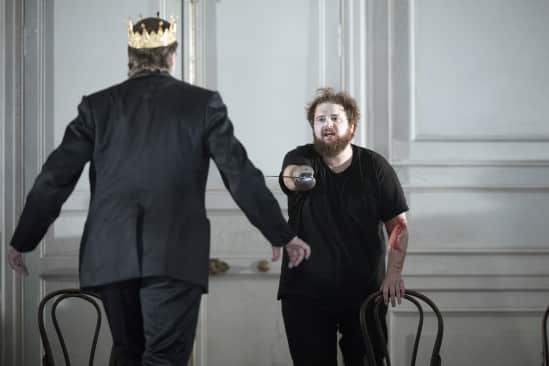 It has been a matter of only weeks between the death of the old king - Hamlet’s father - and the marriage of his mother Gertrude to his uncle Claudius. Watch the opening of this scene, and see what you make of the character Claudius. In the play, we hear a great deal about Claudius before we actually see him. In the opera, Brett Dean and his librettist have had to cut these earlier references, not least because of the time that they would take. Instead, they have had to immediately establish the character. What musical techniques have they used to do this? What strikes you about the orchestration that surrounds Claudius? The way that his vocal line has been written? The way he appears with the chorus? If you were to give the singer one written instruction in the score, what would it be? Ophelia is Hamlet’s girlfriend, and the daughter of Polonius. She struggles with Hamlet’s mood swings, the expectations of her family and finally with the tragic demise of her father. It sends her mad. Write down five specific ideas that you might employ when writing music for a mad character. Think about rhythm, orchestration etc. as well as how you would use text and specific vocal effects. Watch Ophelia’s mad scene. What has Brett Dean asked his singer to do. How effective is it in defining the nature of her madness? What does Brett Dean do with the musical language of these two characters? Can you hear where they adopt each other’s style? Where the style breaks down completely? Where in the text do these things happen, and how does this inform our understanding? The term ‘leitmotif’ is a German word, meaning a short recurrent phrase that is associated with one particular person, place or theme. It is a word particularly associated with Richard Wagner. As you have seen, Brett Dean (composer) also associates a different musical style with different characters, and sometimes even associates them with a particular short ‘theme tune’. Can you find any examples of his leitmotifs in recordings? Perhaps listen to Siegfried’s funeral march to hear Siegfried’s leitmotif gradually establishing itself through the music. See if you can write a short ‘leitmotif’ for someone you know. What instrument/s would it be played upon? How would it tell us something about that person’s character?